WONDERFUL OPPORTUNITY! Own a piece of Belton history. SITS ON A 1.97 ACRE LOT. 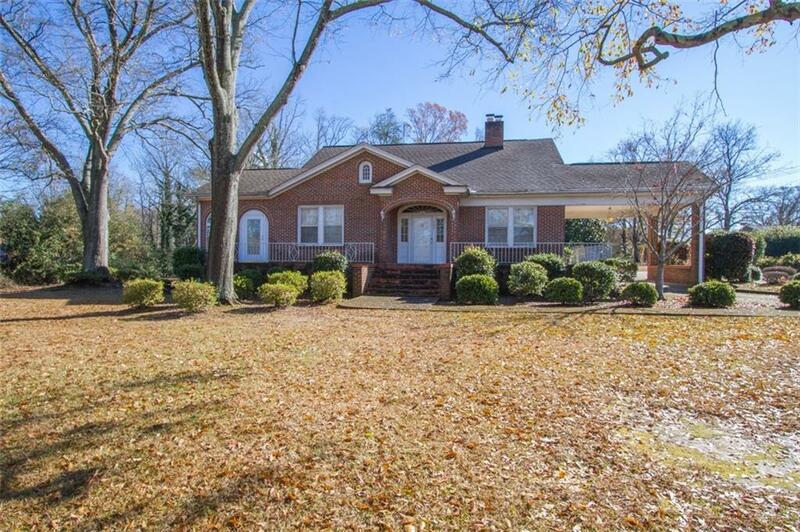 This all brick home has all the modern upgrades but has kept the charm and delight from when it was built. Large communal rooms and bedrooms throughout. Hardwood flooring of a quality that can't be found today. Home sits far off the road to maintain privacy, and also has a sidewalk to stroll on a beautiful day. Home has as a huge unfinished upstairs/attic for storage or for expansion as well as a dugout basement for mechanical equipment/storage or workshop. There is also a large concrete pad out back for a future garage or workshop. TREMENDOUS COMMERCIAL POTENTIAL WITH THIS LOT AND LOCATION. Selling Office: Southern Real Estate & Dev.